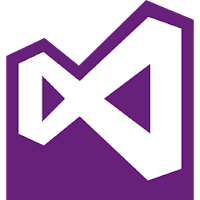 Microsoft Visual Studio 2015 is a suite of tools for creating software, from the planning phase through UI design, coding, testing, debugging, analyzing code quality and performance, deploying to customers, and gathering telemetry on usage. Microsoft Visual Studio 2015 is available in three editions: Community (Replaced Express), Professional and Enterprise. Compare VS editions. Download Visual Studio 2015 Language Pack. Disclaimer: Direct downloads for the lastest version of Microsoft Visual Studio 2015 14.0.25431.01 Update 3 are provided by the official software's author, we can't guarantee safety, availability or download speed. Moreover, we don't and we won't provide any pirated/illegal versions or tools. We recommend you to avoid it as these methods can harm your device. If you like the software, buy it to support the developers. (We provide software discounts for many worldwide brands).